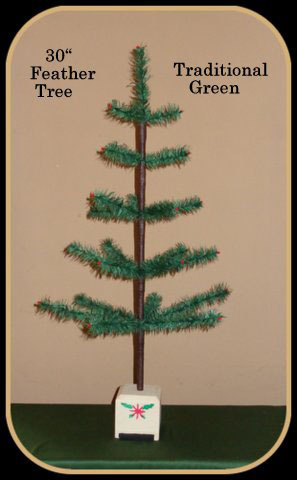 The 30 inch tree is a great addition to your feather tree collection. It has a sparse look but can hold lots of decorations in a variety of sizes. It has a diameter of 16 inches and 5 rows of branches.